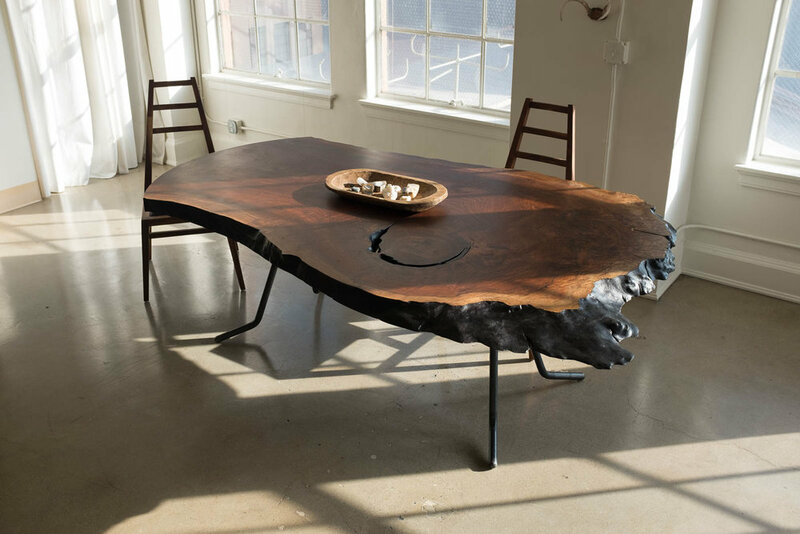 Custom Slab Table — De JONG & Co.
Every slab table is a unique expression of the original material, sustainably sourced from old-growth forests in the Pacific Northwest. Painstakingly worked by hand to bring out the character of its long life cycle. 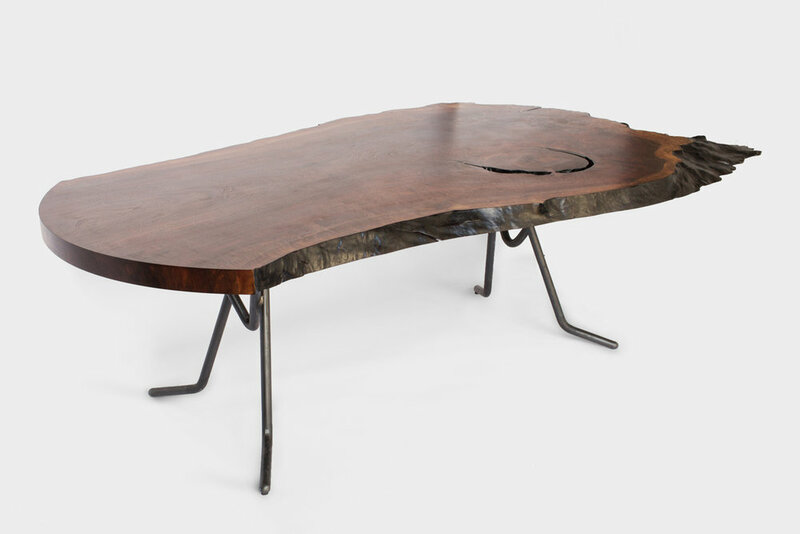 Dominant design elements include charred and polished live edges, traditional handmade butterfly keys, unique solid brass chevron keys, and a patterned layout of patchwork inlays. 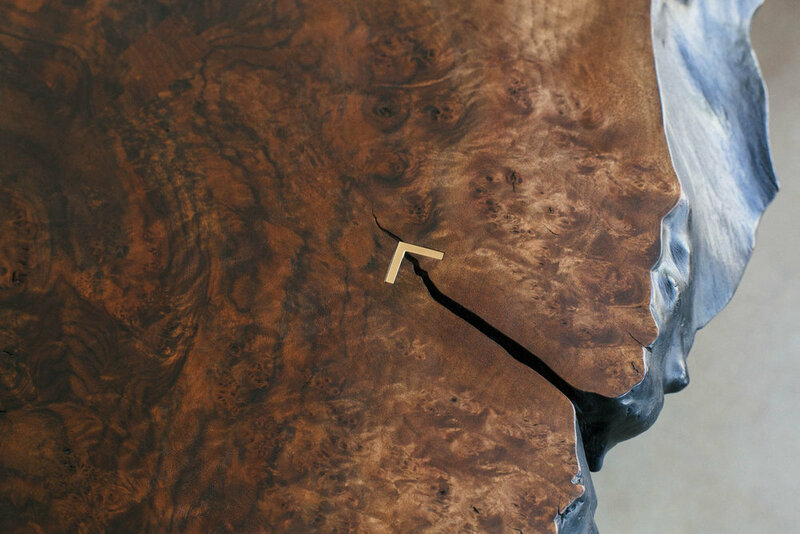 Each piece is carefully mapped in order to draw attention to the beauty and movement of each slabs individual grain pattern. Glints of brass skip across the surface which is carefully rubbed, waxed, and buffed by hand for a uniquely handcrafted depth and sheen.